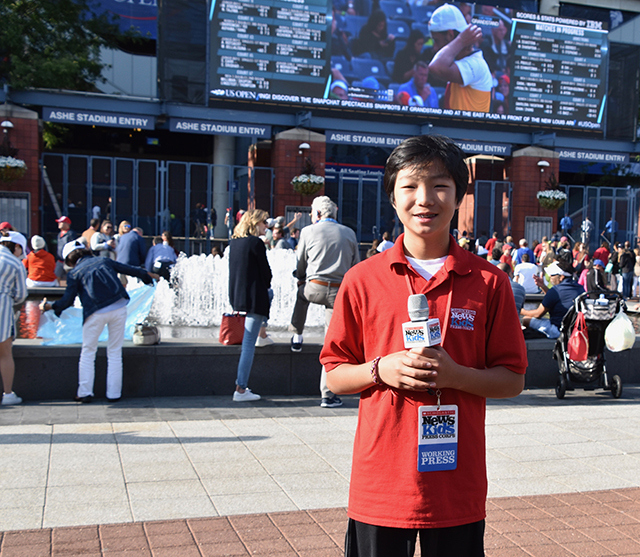 The Unsung Heroes of the U.S. Open | Kid Reporters' Notebook | Scholastic Inc.
One of the most popular sports in the world, tennis draws hundreds of millions of spectators who root for their favorite players. Each year, there are four major professional tennis tournaments, known as Grand Slams. One of those Grand Slams is the U.S. Open. It takes place each summer at the Billie Jean King National Tennis Center in Queens, New York. This year, the tournament was held from August 22 to September 10. Grand Slams are extremely important in professional tennis. They offer players the most ranking points per win and the most prize money. As a result, such tournaments attract top competitors from around the world. It’s easy for fans to recognize the intense training and hard work that players put in during the tournament. But many spectators don’t know about the work that goes on behind the scenes. Robert Pollack, for example, is responsible for greeting fans and making sure that they can find their way around the vast tennis complex. Stone takes a break at the U.S. Open with some of the ball kids. Kids also play an important role at this global event. During the matches, ball boys and girls are put in charge of meeting a player’s every need at the blink of an eye. Ball kids take on such tasks as getting towels, water, and other necessities to ensure that players can focus on the game. Ball kids and other staff members at the Open are not always recognized for the crucial role they play in maintaining peace and order at the busy event. But they enjoy the game of tennis so much that the sacrifices are more than worth it.